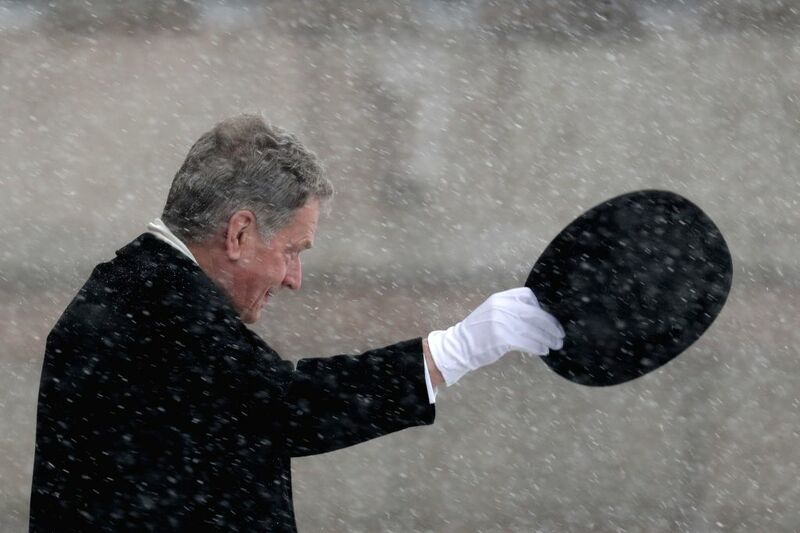 HELSINKI, Feb. 2, 2018 - Finnish President Sauli Niinisto waves before inspecting the guard of honor in front of the parliament building in Helsinki, capital of Finland, on Feb. 1, 2018. 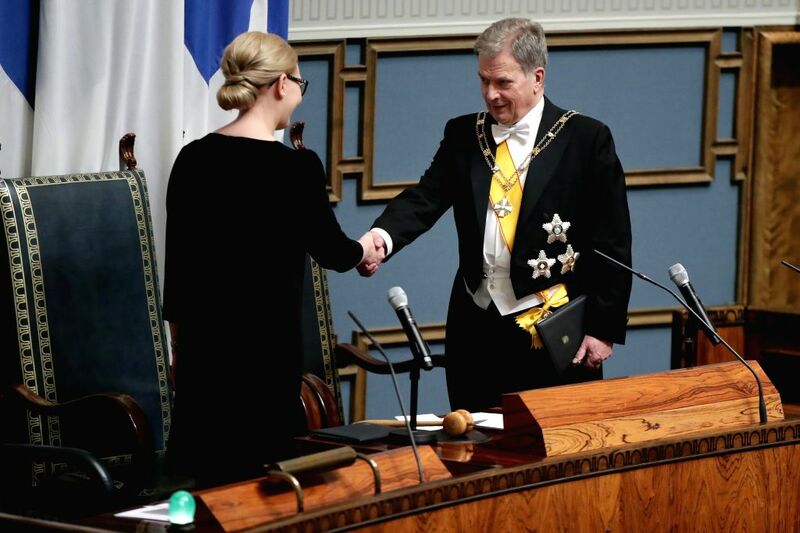 Finnish President Sauli Niinisto on Thursday took his pledge in front of the Finnish parliament, beginning his second six-year term as president. 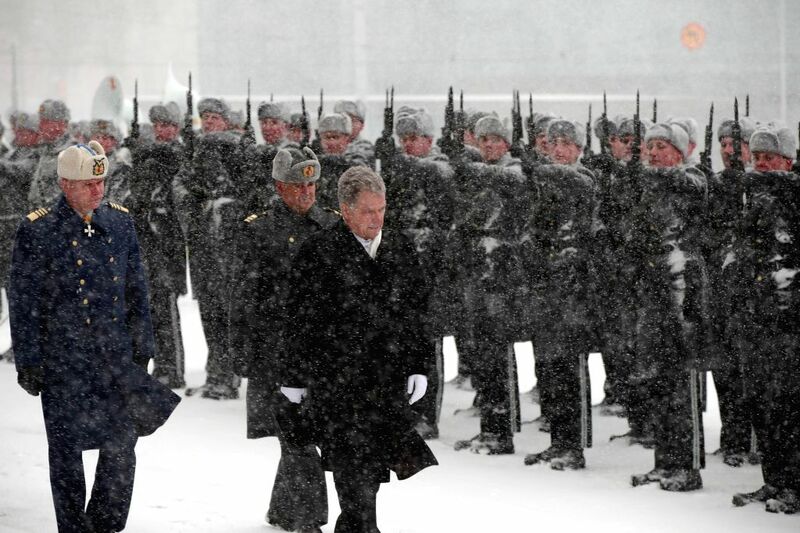 Finnish President Sauli Niinisto (front) inspects the guard of honor in front of the parliament building in Helsinki, capital of Finland, on Feb. 1, 2018. Finnish President Sauli Niinisto (R) shakes hands with Speaker of Parliament Maria Lohela during the inauguration of the president in the Finnish parliament in Helsinki, capital of Finland, on Feb. 1, 2018.